Luang Phor Thuad Phim Young Face Luang Phor Thong Wat Sampaocher BE2545. Phim Phisek back with pidta & ruby. Herb material, made less than 50 pieces only. 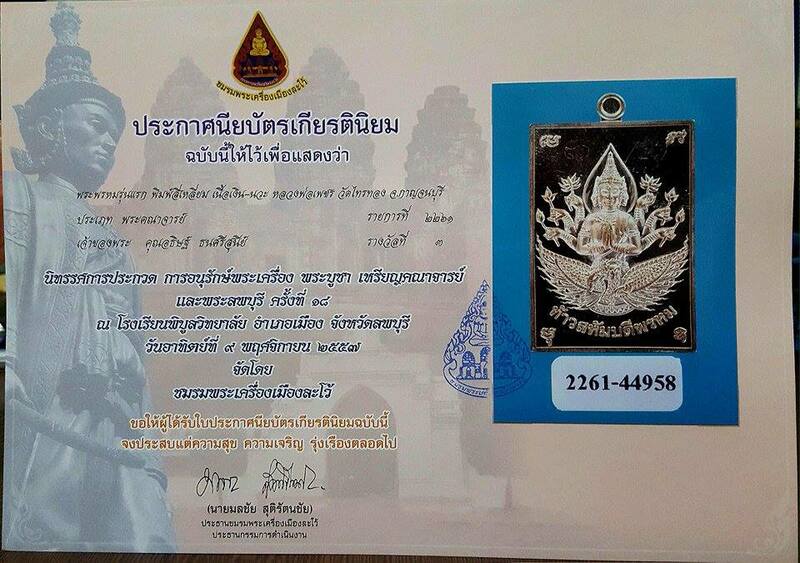 First Batch Somdej Luang Phor Sin Wat Lahanyai BE2536. Phim Kamakan made 1000 pieces only. Nur Phong Bailan mixed with Phong Prai Kuman. Phra Kring Takataen Yai Luang Phor Unn Wat Tankong BE2542. Nur Nawa, made 171 pieces only. Mixed with a lots of holy materials and fully incharged by Luang Phor Unn himself from collecting material, pouring until blessing ceremony. Somdej Peun Beah Phim ThanLiap Luang Phor Phrom Wat Chongkae BE2515. Nur Phong, made 2000 pieces only. 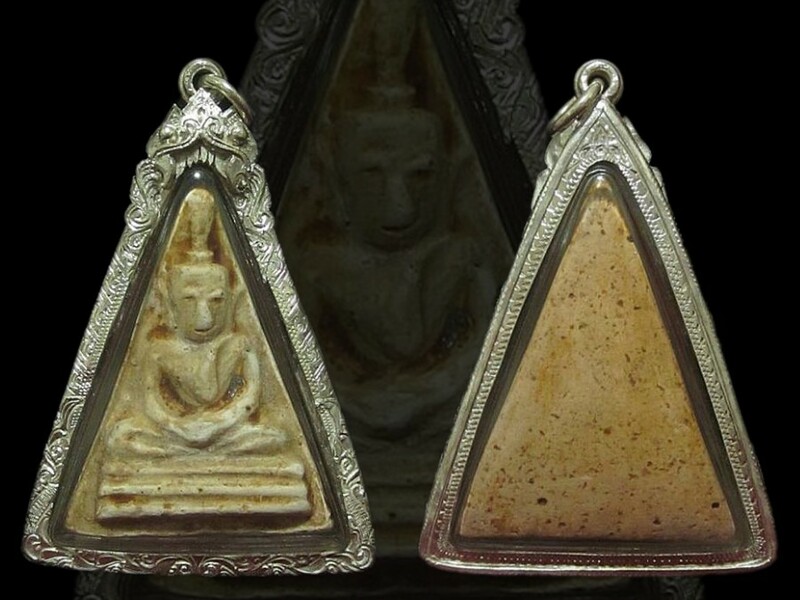 This batch of Phra Somdej amulets was consecrated and blessed twice by Luang Phor Phrom, the first time in the year BE2515 and the second time during the auspicious Sao Ha day on 7th April BE2516 at 5pm in the evening. Rooplor Lor Boran Phor Than Klai Wat Suan Khan BE2503. It comes with Samakom Authentic Certificate. Attached with Gold Waterproof casing. Black Wood Palakit Luang Phor Sawai Wat Preedaram BE2536. Handcrafted and blessed by Luang Phor Sawai personally. It won No1 Placing in Thailand ChaengWattana Grand Amulet Competition on 7th October 2018. Somdej Prok Pho Yai Luang Phor Ngern Wat Donyaihom BE2512. Nur Phong Puttakhun. First batch Phra Phrom Head Luang Phor Pherm Wat Pom Kaew BE2544. Nur Thongdeang, made 2,054 pieces. First batch Somdej Samliam Na Lersi Phim Yai Luang Phor Rueang Wat KaoSamYord BE2500. Rare and solid material. 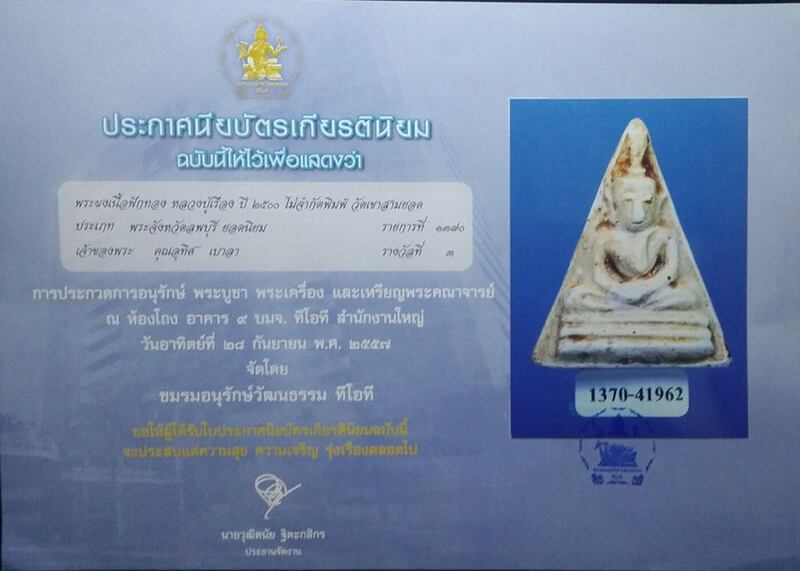 It won No3 Placing in Thailand TOT Amulet Competition on 28th September 2014. Attached with Silver Waterproof casing. Somdej Than Sin Luang Phor Unn Wat Tankong BE2532. Nur Rae. It won No4 Placing in Thailand BITEC Grand Amulet Competition on 18th June 2017.